-The Grand Canyon is called “grand” for a reason … it’s over a mile deep (6,093 feet deep to be exact!) and over 1,900 miles squared (that’s more than six times the size of New York City!). -The weather changes significantly depending on where you are in the canyon. The coldest spot is at the North Rim, and the warmest is only eight miles away! -Although the Grand Canyon is often thought of as the deepest canyon in the world, it isn’t! The title of deepest canyon actually belongs to the Yarlung Tsangpo Grand Canyon in Tibet. It’s 17,567 feet deep, more than two miles deeper than the Grand Canyon! -People actually live in the Grand Canyon. It’s true! Although it’s a small town, the Havasupai Indian Reservation located in the Supai Village at the base of the Grand Canyon is home to just over two hundred people. It’s the only US location where mail is still delivered by pack mule because there are no roads for cars to get there! 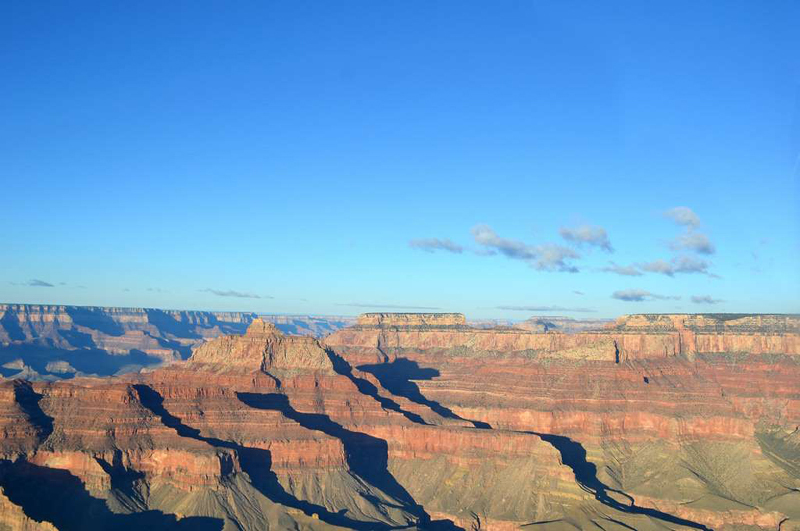 -The layers of rock that form the Grand Canyon tell the story of Earth’s geological history! Jobs: Happy 100th, Grand Canyon!